Description: The WHT Deep Field. The Herschel Deep Field is a 7x7 arcminute patch of sky in the constellation of Pisces which has been observed with the 4.2-m William Herschel telescope for a total of about 70 hours. The picture shown here is a 'true colour' composite of images taken at ultra-violet, blue and red wavelengths. Most of the objects are distant galaxies, although the very brightest ones are stars. 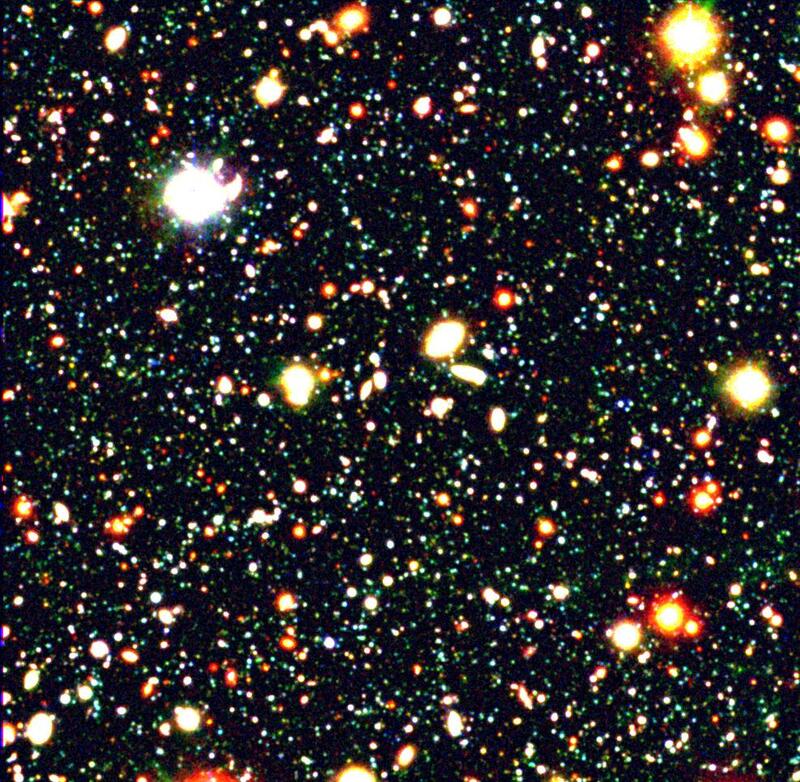 This is one of the deepest images ever taken from the ground and shows images almost as faint as the famous Hubble Deep Field but over a 10 times bigger area of sky. An analysis of the colours of these galaxies has shown that many are at such large distances and "look-back times" that the epoch of galaxy formation must have been at even higher redshifts than was previously thought. More information: The WHT Deep Field at Durham University. Technical information: A true-colour image composed from the U, B and R frames and acquired with the Prime Focus camera on the WHT. Limiting magnitudes are U=26.8 (34 hours), B=27.9 (28 hours) and R=26.3 (8 hours). Description: On February 28, 1997 the William Herschel telescope took the first image of the optical counterpart of a gamma-ray burst (GRB), marked OT - Optical Transient - on the picture (M dwarf is a dwarf star of type M). This point of light is probably the most powerful explosion mankind has ever witnessed. GRBs were discovered in the early seventies and their origin had remained unsolved since then. Thanks to this picture, and later investigations, we now know that these explosions take place outside our Galaxy. Nevertheless fundamental questions such as the origin of the events, the source of energy, the triggering mechanism and the radiation processes still remain to be determined. Credit: J van Paradijs (University of Amsterdam). Technical information: Discovery V band images of the first optical counterpart (GRB 970228). The image on the left shows the transient on February 28, 1997 as observed by the WHT. 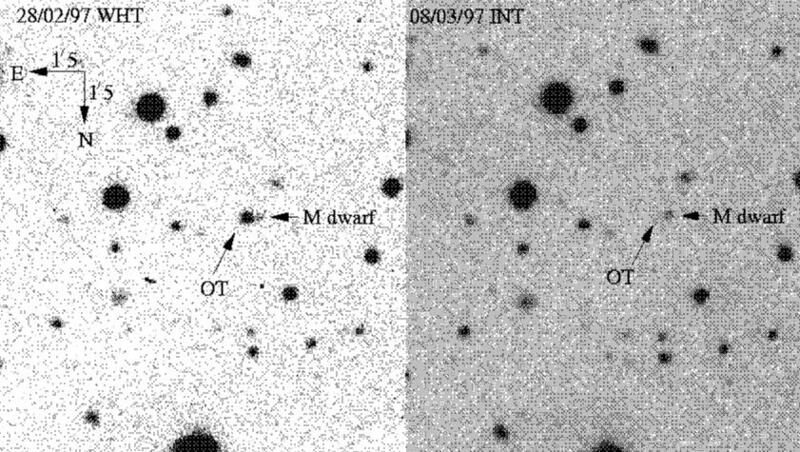 The image on the right shows the transient on March 8, 1997 as observed by the INT. The optical transient is denoted by 'OT'. A late-type star is also indicated. Description: New studies based on observations of supernovae in the farthest reaches of deep space indicate that the universe will expand forever because there isn't enough mass in the universe for its gravity to slow the expansion, which started with the Big Bang. 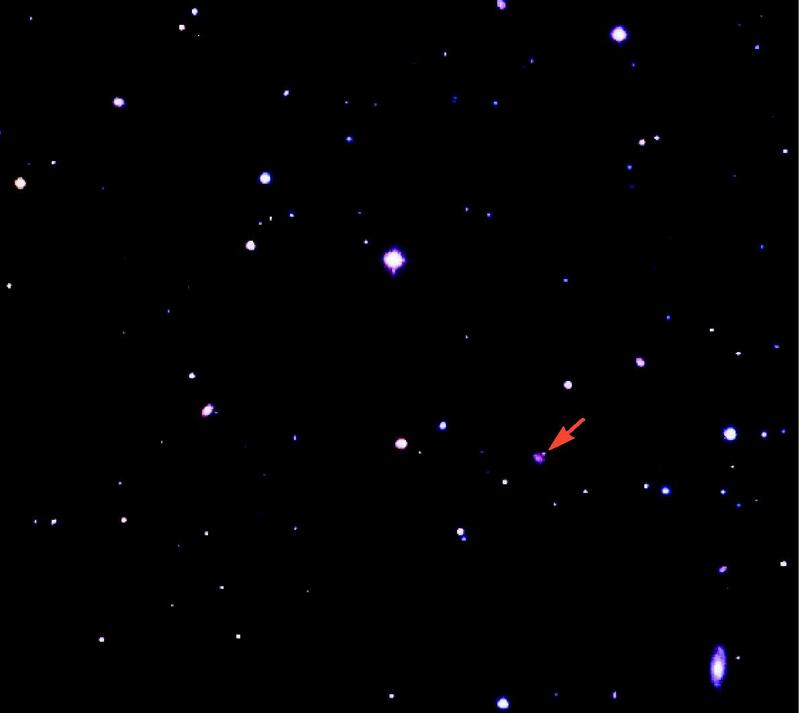 Image 1 was taken using the INT and it corresponds to a high-redshift type Ia supernova thousands of millions of light years away. When a star explodes as a type Ia supernova its brightness is similar to the host galaxy. This latter feature along with the possibility of calibrating their maximum brightness, make type Ia supernovae the best known standard candles to investigate the geometry and the dynamics of our universe. Image 2 is a supernova at redshift 0.12. Date: Image 1: 1998, Image 2: 2000. Credits: Image 1: Javier Méndez (ING), Pilar Ruiz-Lapuente (University of Barcelona) and Nic Walton (ING). Image 2: Dan Batcheldor (ING). Technical information: Image 1: CCD image obtained with the Wide Field Camera on the Isaac Newton Telescope. 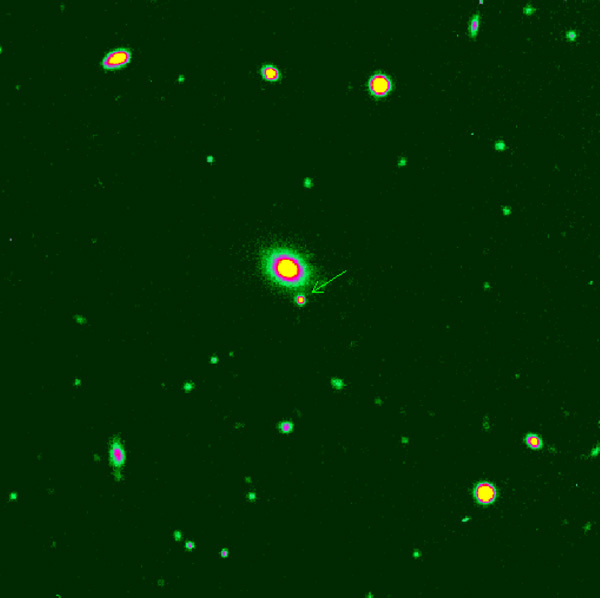 Image 2: True-colour composition obtained with JAG CCD camera on the Jacobus Kapteyn Telescope.